All consultations are booked by appointment (by telephone, in person or online). We will always try to accommodate your request for a particular doctor where possible, however it may not always be possible to do so on every occasion. It is suggested that you see the same doctor, if possible, for an ongoing condition. Urgent appointments are available in each surgery session, please tell the receptionist if your condition requires urgent medical attention. All of our doctors will help you deal with acute and long-term health problems and illnesses. This will always involve advice on how you can help yourself, sometimes it will involve treatment in the surgery, medication or referral to local hospitals. 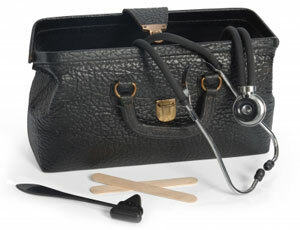 Patients can usually see the doctor of their choice for on-going and long-term health problems. These appointments can be booked up to 2 weeks in advance. However, when you need to be seen urgently, it may not always be possible to see your usual doctor. Use the online service on our website once you have received login details from reception. We make every effort to keep appointment times but there may be occasions when they overrun. If you are unable to keep your appointment please notify the surgery as soon as possible, (at least 24 hours in advance), by telephoning reception. One appointment is for one person. 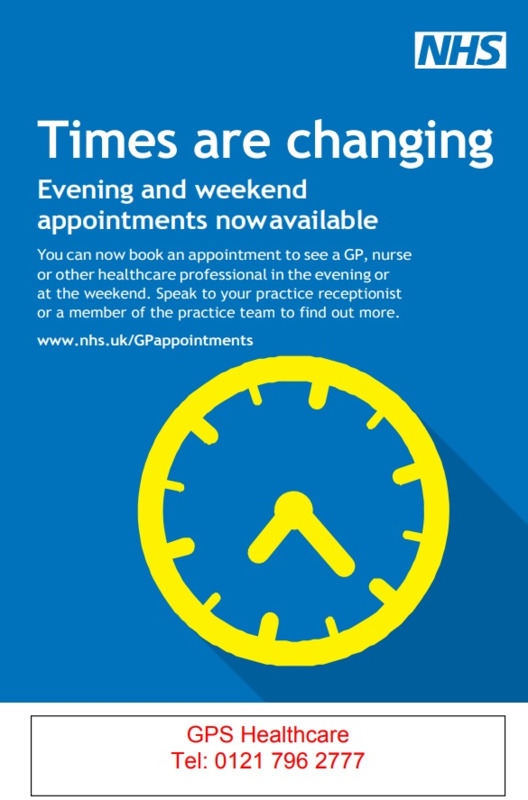 If you want another member of your family to see the doctor or nurse, please book a further appointment. When arriving at the surgery for your appointment, always inform reception or use the patient check in screen. Sometimes people can forget to tell the doctor all the important information about their problem. It may help to write their symptoms down. If you don’t understand what the doctor or nurse says to you, please don’t be afraid to ask for a further explanation. It can sometimes help to have a partner or friend with you. If you are seeing the doctor to discuss the result of an investigation or a recent hospital treatment, check with reception first that any important results or letters have been received. If you would like a chaperone please speak to the doctor. To request a telephone consultation with a doctor or nurse, please telephone the surgery on 0121 796 2777 and a receptionist will arrange for a doctor or nurse to call you back. If for any reason you will be unable to take the call, please notify the surgery as soon as possible. Whilst we encourage our patients to come to the surgery, where we have the proper equipment and facilities available and our doctors can see several patients at the practice in the time it takes to make a single home visit. We do appreciate this is not always possible, in this respect, if you do need a home visit you can help us by calling reception before 11:00 am. You may only request a home visit if you are housebound or are too ill to visit the practice. Your GP will only visit you at home if they think that your medical condition requires it and will also decide how urgently a visit is needed. Please bear this in mind and be prepared to provide suitable details to enable the doctor to schedule house calls. Babies and children can usually be brought to the surgery even when ill and will always be fitted in quickly if necessary. Call the surgery on 0121 796 2777 before 11:00. Be prepared to tell the receptionist about your condition so we can prioritise the most urgent cases and arrange the most appropriate course of action. Ensure the surgery has up to date details of your address and telephone number.